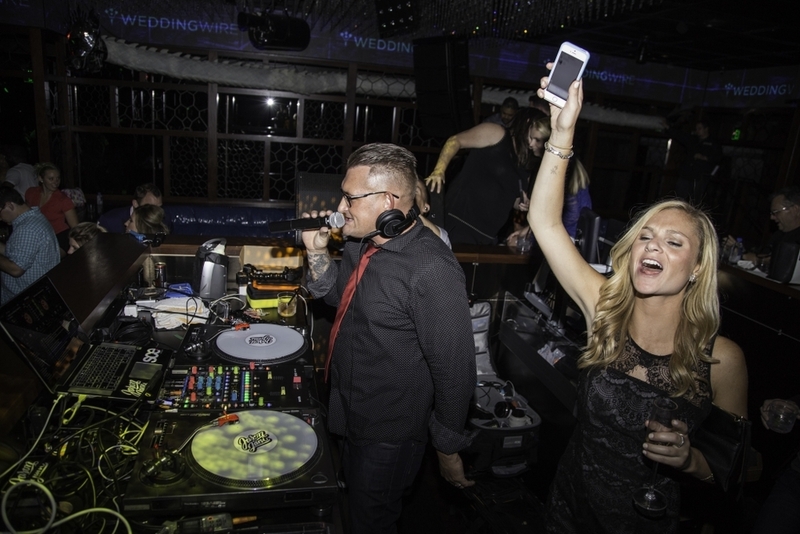 Jason Jani and SCE rock the WeddingWire VIP event at Ling Ling | Hakkasan | MGM | Las Vegas. We at the SCE Event Group get to do some pretty cool events for some pretty cool people all over the world. 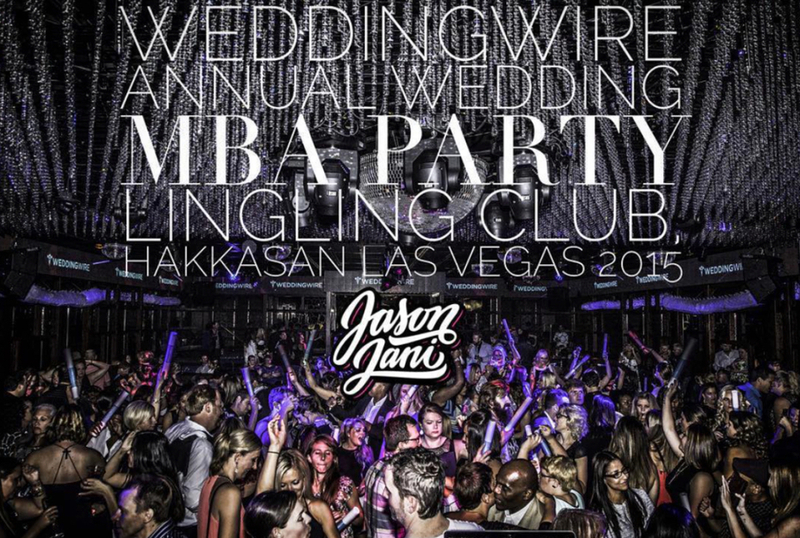 On Tuesday, September 15th, SCE founder and Marquee DJ - Jason Jani was selected by the team at WeddingWire to spin at their VIP event held for industry professionals attending the Wedding MBA at the Ling Ling Club at Hakkasan in the MGM Grandin Las Vegas, Nevada. 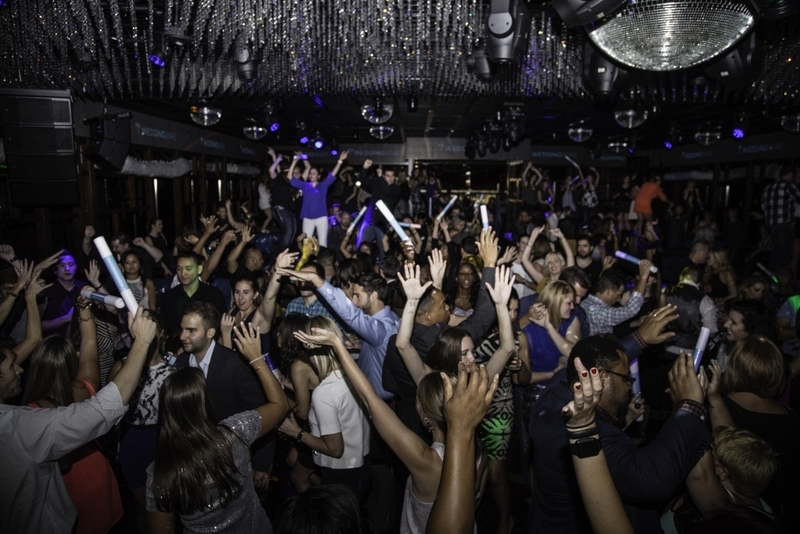 This event was hosted by the WeddingWire team and held in one of the most exclusive event spaces in the world, Hakkasan. Attended by over 800 wedding industry professionals from all over the world, this VIP event was an incredible success. We have included a highlight video as well as some images captured by Jake Klein at this event so you can see some of the awesomeness the SCE team brought to the table for all to enjoy. Special thanks to Wedding Wire, Jeff Scott for capturing the video, the team at Ling Ling, and Jake Klein. If you are planning a VIP style event anywhere in the world, Jason Jani and the SCE Event Group team are available for booking. To learn more, please contact SCE at 888-278-0900. By the final part in this series, you’ve chosen a few candidates to host your wedding celebration. And in the end, it really is about the music bringing everyone together for an amazing time! You love music?! SO DO WE! 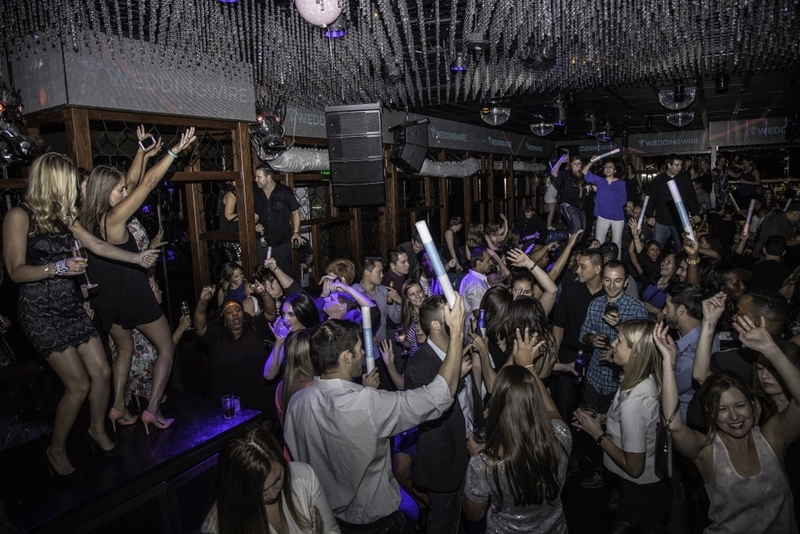 It’s actually at the core of our lives, considering we pack dance floors weekend after weekend for a living. There are two extremes when it comes to choosing music for your reception, and neither is necessarily a good approach to programming the event. At one end, you personally need to plan every song, maybe even certain ones in a particular order! And at the opposite end, your DJ won’t allow any input from you and is certain that last week’s playlist will hit a home run … just like the week before. In both of these cases, neither party is allowing for any organic flow during the reception. If the couple has given an exhaustive list to the DJ that programs exactly 4 or 5 hours, they’ve eliminated the very reason for getting a trusted entertainer behind the music … or any human, for that matter. When this is the case, there’s no room for moments to evolve, and your DJ’s creativity is completely restricted. Not to mention, you’ve created a lot of work for yourself in the process. This often comes from misunderstanding the role of your wedding entertainment, and what they can actually bring to the table to make your reception a success, besides “just playing any song.” And if it comes from the perspective that you don’t trust what they will play, then you should go back to the first part of this article and start the search over. But you probably didn’t want a “cookie cutter” for a DJ, right? I’ll always ask for a Top 10 or so of “Must Play! I have to hear these songs at my wedding!” Those are the songs that make your reception, yours! Yes, I believe I bring plenty of experience to the table, but it’s important that I weave who you are into what I do! The event is yours, and it should reflect that. I’ll even ask for a “Do Not Play these, because they’re nails on a chalkboard”-List. I don’t want to be murdered at the reception. You should look for an exchange of ideas— and your choice in entertainment should also welcome that. By sharing your very special songs that trigger a memory, you’re giving us what we need so that we can use our experience to work them into what we do. And THAT’S how you get amazing moments that create unforgettable celebrations! Hiring a professional wedding entertainer (and all other wedding professionals, too) allows for the ultimate goal: to have an amazing, stress-free wedding day! You work ridiculously hard to plan this once-in-a-lifetime celebration, and you should reap the rewards of an awesome day! By taking the time to ask the right questions and connect with the right professionals, you’ll be able to relax and enjoy the day! So you’ve vetted your choices and narrowed down the candidates. You want to get to know them a little bit. Once you schedule that important meeting into your calendar, what can you expect? At SCE, we think that talking about your wedding celebration should be more than presenting packages, collecting a deposit, and eventually showing up to play music. If you’re not given the opportunity to share your thoughts, how would they know? That gets back to how important it is to meet with your actual entertainer. Hopefully, you’ve found someone you really like, and you want to convey that you’d prefer a more subtle approach. Or even the opposite, where you want it completely over the top … and they need to know that! By the way, if you’re a “blank canvas,” it’s perfectly fine. The SCE Team and I understand that you become an instant “party planner” overnight, and we’re psyched to help. I personally love sharing thoughts, perspective, giving suggestions, and helping you decide on options. Because ultimately, it’s not about just playing music for a few hours. It’s about creating a great experience as you plan, and eventually executing an amazing celebration for all. So far, I’ve given you a couple of thoughts on how you might choose the right entertainment company for your wedding celebration. Starting the process by doing a little research on them is a great first step in narrowing down the search. And setting up a get-together with the actual person who’ll be responsible for bringing your guests together on the dance floor will help determine if there’s chemistry. Once you’ve found a candidate to host your celebration, make sure to ask whether your entertainer is a full-time wedding professional, or if he does it “on the side.” There are plenty of newcomers and even some experienced DJs who have regular employment and play weddings on the weekend. Maybe they do it as a hobby or for extra money. We completely understand, and we’re not knocking it. It could become an issue, however, when it comes to timeliness in communication and responding to your emails or phone calls. A response from his “daytime desk while the boss isn’t around” isn’t really professional, nor does it exude confidence that they’re paying attention to your needs. Perhaps paperwork gets misplaced or lost in the shuffle without a dedicated work space on their part. Maybe details get overlooked because of lack of focus on your event. Very often, this is also the biggest factor in determining your entertainment’s cost. When your DJ is lightly invested in your event and treats it like “extra money,” they will usually charge accordingly. On the other hand, a full-time, reputable wedding professional is completely dedicated to their clients’ satisfaction and dependent on making that day a complete success! The point is that your wedding entertainment professionals should take your celebration details as seriously as you do. Speaking personally, this is my livelihood. It’s my career. So our reputation depends on planning and playing an amazing celebration with our Rockstar couples! We are delighted to announce that SCE Event Group founder, Jason Jani has earned the international Master of Ceremonies honor with admission to the WED Guild® and title of Wedding Entertainment Director®. The WED Guild® is an internationally industry respected organization that was created by Peter Merry in 2001. The WED Guild® was created in hopes of changing the public’s "sometimes" negative perception of wedding DJs. The title of Wedding Entertainment Director® was used as opposed to DJ focused terminology because the role of a certified Wedding Entertainment Director® expands well beyond just playing music and/or making announcements as the Master of Ceremonies. The Wedding Entertainment Director®is about the ability to produce incredible events by delivering the very best quality in service and all around performance. Becoming a Wedding Entertainment Director® is no easy task, and only 24 people currently hold this prestigious title in the wedding entertainment industry, internationally. The WED Guild®'s application process is an in-depth journey to identify an exceptional Masters of Ceremonies using a peer-reviewed analysis that includes many layers like reviewing essays, past event video samples, previous client and industry colleague recommendation letters, and a final interview consisting of 5 members of the current WED Guild® talent roster and the current term president of the group (see the full application at http://wedguild.com/ftp/WEDGapplication.pdf). Jason Jani of the SCE Event Group noted about the process, "The process to become a Wedding Entertainment Director® was not easy, it really made me look at things I have done for my couples in a different light". "It's the beginning of a new journey for me in this profession... it allows my couples to know that I am committed to continuing my education and training in this industry, and will open up in terms of creativity options for my personal performance events. ", says Jani. To summarize the qualities needed to obtain this prestigious accomplishment and title, WED Guild® members are evaluated on the 7 essential areas of expertise needed to obtain the prestigious title of a Wedding Entertainment Director®: Comprehensive Personalization, Creative Involvement, Event Direction, Talent as a Spokesperson, Music Programming, Appropriate Presentation, and Quality Amplification. To learn more about the exclusive weddings services offered by Jason Jani and the SCE Event Group please complete the contact us form on this site or give us a call at 888-278-0900. Jason Jani is available for wedding events worldwide via the SCE Event Group.